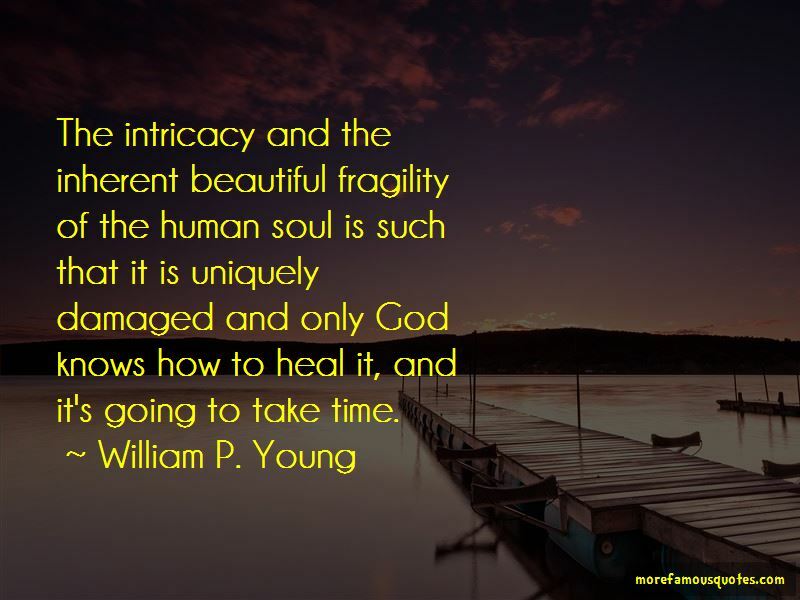 Enjoy the top 54 famous quotes, sayings and quotations by William P. Young. You have to take the time to prepare the soil if you want to embrace the seed. who was the one who was angry and distant, and unreachable, unknowable. All of that had to come crashing down. 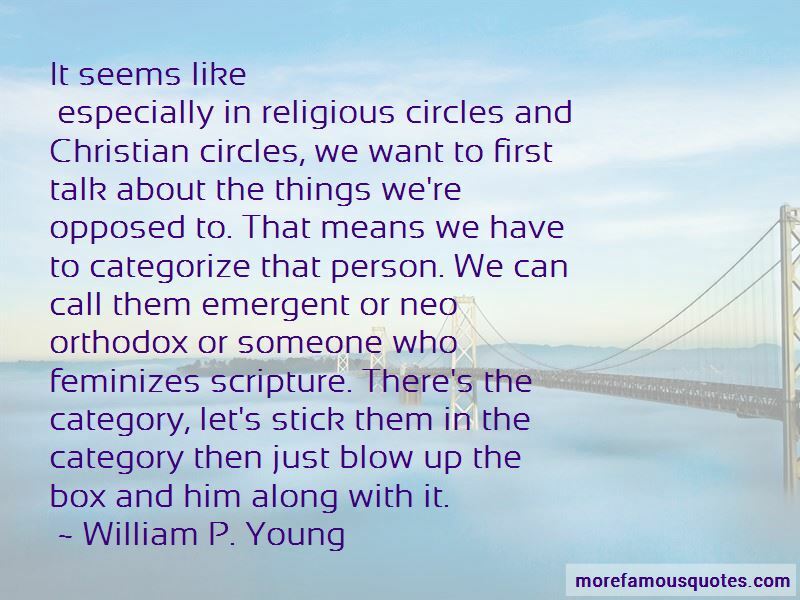 especially in religious circles and Christian circles, we want to first talk about the things we're opposed to. That means we have to categorize that person. We can call them emergent or neo orthodox or someone who feminizes scripture. There's the category, let's stick them in the category then just blow up the box and him along with it. Today's minor irritations may become tomorrow's treasured memories. We often don't know what we are missing, until it's missing. The God of Evangelical Christianity is a Monster. very difficult, and very painful, and it took me 50 years to wipe the face of my father off the face of God. I think good creative writing opens up space for people to come into. Let God reach out and touch the human soul. That's not my job. I get to be present and create as much space as I can ... That frees me up just to be creative in the way I want to be. Emotions talked to you before you had words, so listen to them ... they are often more honest than the mind's remarkable ability to self deceive. I think my books give people a language to have a conversation about God that's not religious. There isn't enough new literature that brings the conversation of God into a modern context. I love the Bible, but in the West we've analyzed it until it fits into a structure of control. We need more new stories. We need different ways of looking at things, and I think it's coming. 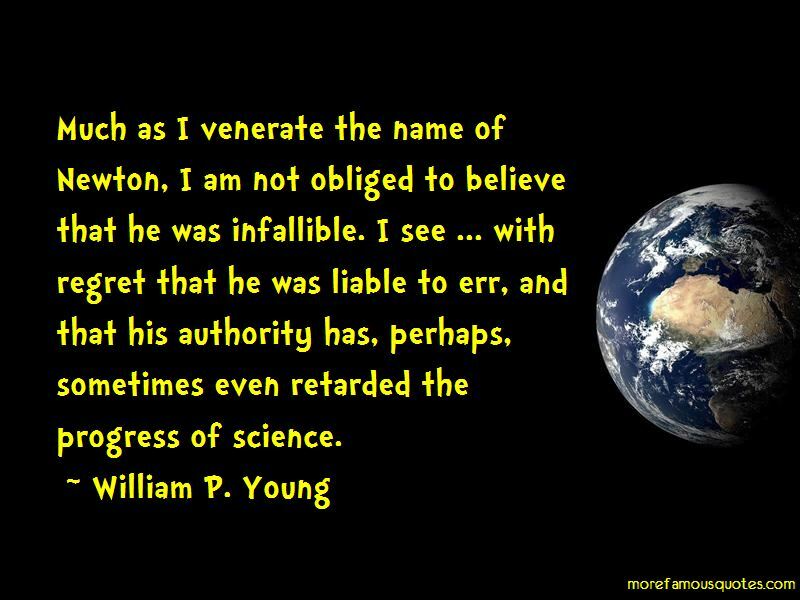 Want to see more pictures of William P. Young quotes? 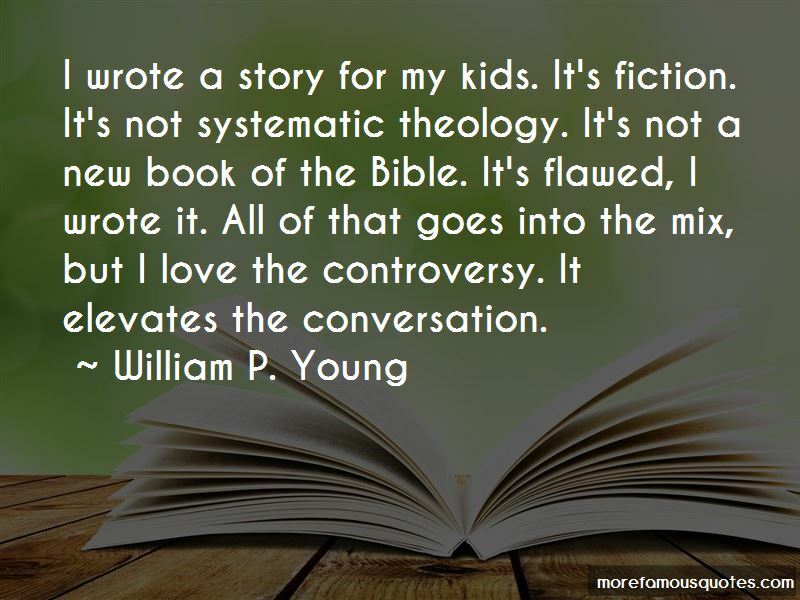 Click on image of William P. Young quotes to view full size.